First year scholarship holder Flynn Scott had one of the most enjoyable drives up the Brand Highway of his short time as a swimming athlete. 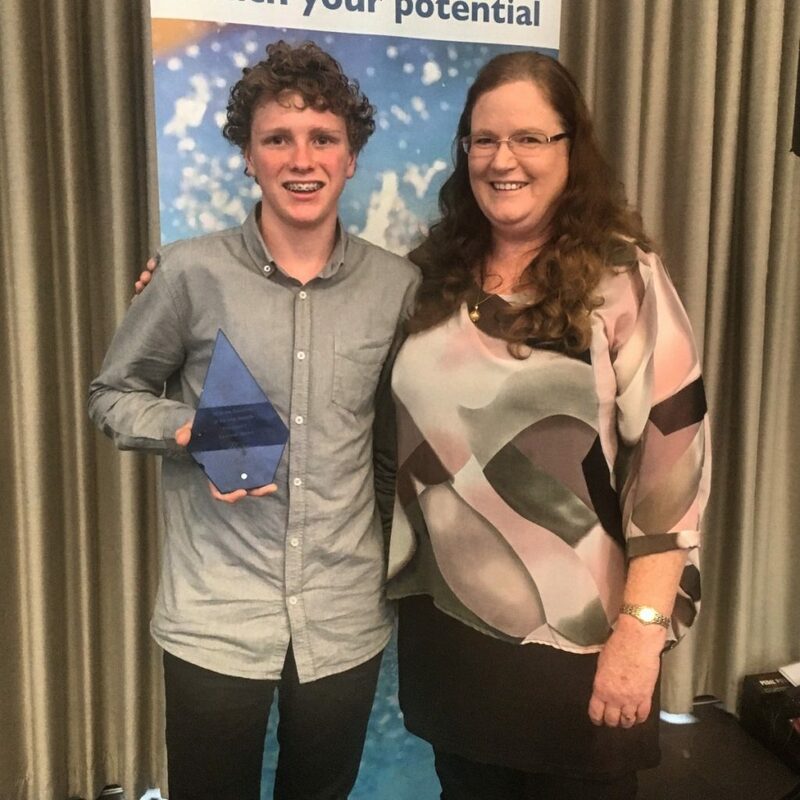 The reason for the smiles was that Flynn had received the President’s Award at the Swimming WA Awards Breakfast held at the State Function Centre in Kings Park. Flynn won the award on the back of a sterling state championships were he won several medals. Unfortunately, he fell ill at the national championships and was unable to repeat his best performances. On receiving the award Flynn said “I was very surprised to hear my name called out. It was unexpected and gives me a bit of a push to get going with my training again”. Flynn is back into pool training again now and it is hoped he may be able to spend more time this season learning from other programs in the metropolitan area. That could be an important part of his near future in swimming, although it is unlikely the trip back from training sessions will be as enjoyable as this one was!